In Addis Ababa, Secretary Tillerson will meet with the African Union Commission leadership and the Government of Ethiopia. The Secretary will certainly be discussing security issues related to counter-terrorism, including the fight against al-Shabaab and other jihadist groups. Fortunately, over the past ten years a key trend for the African Union has been its willingness to Africanize security stabilization operations, with the assistance of the United Nations, key international partners, and especially the United States and France. U.S. financial support for counterterrorism operations will continue. The US military mission in Djibouti will continue in support of the effort to defeat al-Shabaab in Somalia. The AU’s efforts on security are most visible and needed in Somalia, where the combined African forces referred to as AMISOM, hailing mainly from Kenya and Burundi with intermittent support from the army of Ethiopia, have been carrying the major burden of opposing al-Shabaab. AMISOM is expected to begin to phase out as the army of the restored Somali regime begins to gain confidence. A second key sub-region of concern is the Sahel, where “jihadist” groups of various orientations are engaging in terrorist acts in Mali, Niger, and Burkina Faso. Until recently, the French army has borne the major burden of opposing these jihadist groups on the ground. In recent months, the French have led a new initiative to help the G-5 governments most concerned by the threat to stand up their own combatant forces (Mauritania, Mali, Niger, Burkina Faso, and Chad.) The initial budget for this effort has been set at $500 million. The United States has pledged $60 million as its initial contribution. The Secretary will be arriving in the capital, Addis Ababa, in the midst of an Ethiopian governmental crisis. The Prime Minister has resigned, and the ruling political coalition’s power elite is in the process of choosing a successor. There is tremendous tension in the various Ethiopian states that the next Prime Minister will have to defuse. Ethiopia has never had a political dispensation in which a majority of the people have had a voice. The time for transparent democracy has arrived. This message has the backing of 99% of the Ethiopian diaspora in the United States. 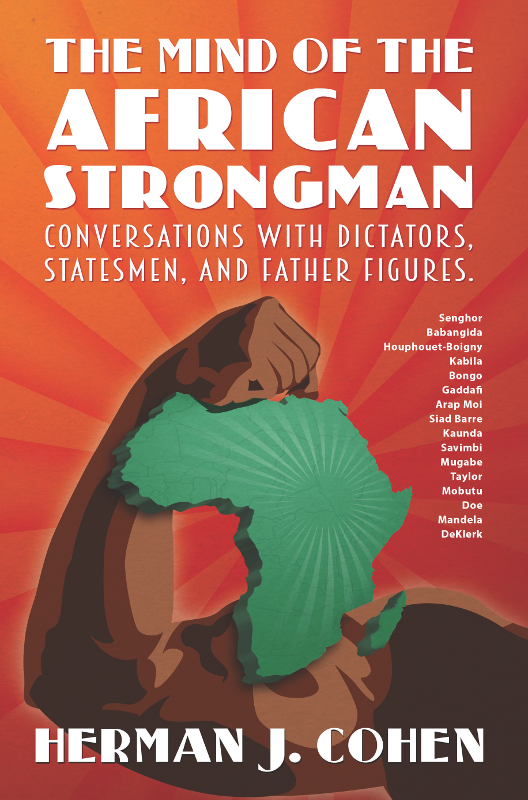 A democratic Ethiopia will be a force for stability in the entire Horn of Africa. Otherwise, a politically unstable Ethiopia will leave the door open for terrorist forces that are not that far away geographically. The violent suppression of peaceful Oromo protesters is unacceptable to both the United States and the international community. The presence of 2,000 U.S. troops and advisers in Camp Lemonnier in Djibouti is reassuring to American friends in the Horn of Africa. These units are focused on undermining al-Shabaab in neighboring Somalia. In Djibouti, the Secretary will want to communicate appreciation for the nation’s willingness to host the American military contingent, and that America will continue to support Djibouti’s economic development. Equally important, the Secretary will undoubtedly visit the American military team in Djibouti and assure them that their work is important to U.S. national security. The government of Kenya has consistently been a key friend and ally for the United States in the Horn of Africa since its independence in 1964. The nation’s airports and seaports have always been available to the U.S. military. Kenya is also a leader in Africa in providing a welcoming environment for business. The presence in Kenya of a Ford Motor Company assembly plant demonstrates Kenya’s leadership in attracting private investment, a vital aspect of development. However, there appears to be a reluctance on the part of the ruling class to accept the risk of being out of power as a result of the democratic process. A refusal to accept such a normal risk must lead inevitably to a return to authoritarian rule, a trend that is unfortunately growing throughout the world at the present time. express concern about the downward trend in governance. The Secretary should speak frankly because frank talk is normal among friends. US-Chad relations have been chilly for about the last eight months since the Department of Homeland Security placed Chad on the list of countries where the US will not issue visas for travel to the United States. The US feels Chad is failing to supply crucial information about their citizens’ documentation. The Secretary will be discussing counter-terrorism and security issues. He should be familiar with Chad because, in his earlier job as Senior Vice President of EXXON, he witnessed the oil company’s discovery of oil in the southwestern part of the country in 1990, and the inauguration of a successful oil export operation that has been ongoing for two decades. Of all the military organizations in the Sahel, Chad’s army has been the most successful in the fight against “jihadist” terrorists. Chad has also been fighting the Boko Haram terrorists that originated in northeastern Nigeria and have spread to Niger and Cameroon, as well as Chad. Secretary Tillerson will want to offer to help the government of Chad restore the validity of its travel documents for visitors to the United States. At the same time, he will want to reassure the Chadian Government of continued US support for the counterterrorism effort, mainly through support for the G-5. Secretary Tillerson is wise to visit Nigeria, the largest country in Africa by population. Nigeria is also a major exporter of oil at two million barrels a day, and is therefore a major player in the OPEC consortium of oil producers. 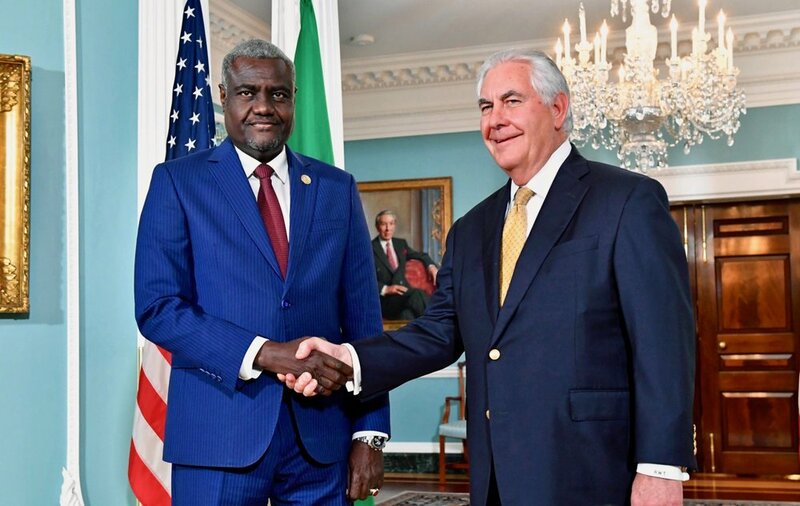 In the Nigerian capital of Abuja, Tillerson will want to receive a briefing on the Nigerian army’s efforts to crush the Boko Haram insurgency in the country’s poverty-stricken northeast. Although the Nigerian government continues to stress that Boko Haram is near total defeat, there is growing evidence that the organization has become fully embedded in the population, and therefore difficult to root out. The Secretary will want to offer assistance with technology and possibly specialized training. In addition, Secretary Tillerson should make a friendly recommendation that the socioeconomic aspects of the Boko Haram phenomenon be taken into account in the Nigerian government’s approach to the challenge. A purely military solution would be insufficient. On the political side, the Secretary will want to congratulate President Buhari and political elites on their successful maintenance of the democratic process since multiparty politics was restored in 1999. He will also want to take note of a certain amount of economic diversification, away from Nigeria’s overwhelming dependence on oil, especially in a growing commercial agriculture sector. In the crucial electric power sector, the Secretary will want to find out why there are so many bottlenecks standing in the way of a major expansion of power generation, transmission and distribution. Is it a management problem? Maybe “Power Africa,” a major USAID program, can help solve it. Overall, the Secretary will find a lot to discuss based on his checklist of priorities. It is a good thing that President Trump is sending him to Africa, and that the President has expressed a strong determination to maintain constructive and friendly relations with African nations. On the African side, the feeling is certainly mutual.